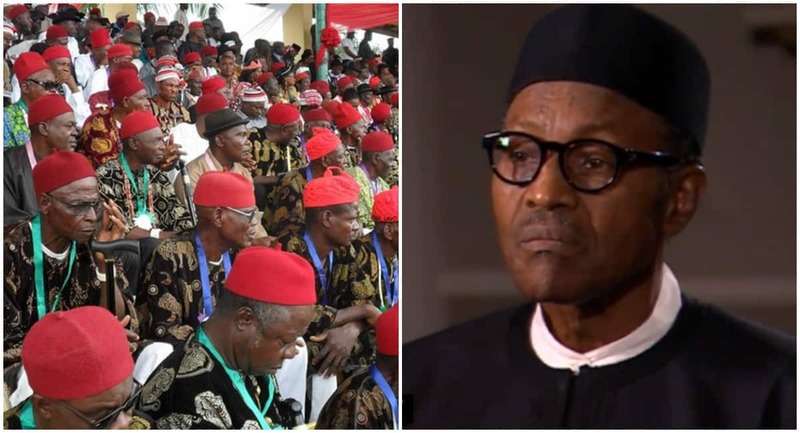 The All Progressives Congress Presidential Campaign Council south-east youth coordinator, Innocent Ojike, says Igbos will regret if they don’t vote for President Muhammadu Buhari on Saturday, February 16. Ojike made the assertion while speaking at a press conference in Awka, Anambra state on Saturday, February 9, Punch reports. Legit.ng gathers that he opined that Buhari would win; stating that if Ndigbo fail to vote for the APC, they would lose in the political equation of the country. According to Ojike, the south-east’s position in Nigeria’s political chessboard in 2023 would be determined by the forthcoming polls. He urged Igbos not to repeat the “costly mistake” they made in 2015 when they failed to vote for Buhari, while expressing regret that the south-east geopolitical zone had the lowest voting strength in the country. He added: “The Igbo nation should learn to collaborate with other zones to achieve their aim of producing Nigerian president in 2023. Meanwhile, Legit.ng previously reported that the governor of Imo state, Rochas Okorocha, called on Igbos to in the upcoming presidential elections. Okorocha, who gave the warning at a press briefing in the Government House, Owerri, described the ongoing political situation as a “war in a different dimension”. He said that Igbos would fail woefully if they did not vote wisely; noting that the choices they made in the past did not favour them.